We spent this past weekend in Baltimore for a very special occasion. We attended the wedding of Jennifer Rynda and Mark Sapienza. Jen is the daughter of our very good friends Rich and Anne Marie Rynda. Jen and Mark were married in a beautiful ceremony on the waterfront, followed by a reception on the waterfront. Amazingly enough, no one went into the harbor. Before the wedding we got a chance to spend some time with our good friends of many years, Ron and Ethel Thau, along with their two daughters, who were also in town for Jen’s wedding. So we all walked around the Fells Point section of town for a bit. 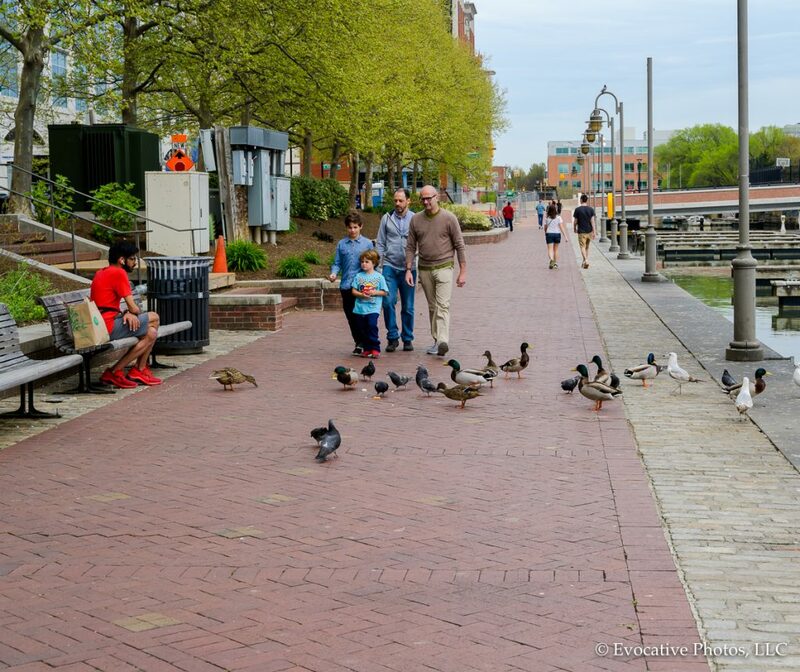 Fells Point is a landmark historical district where the architecture dates back to colonial times. 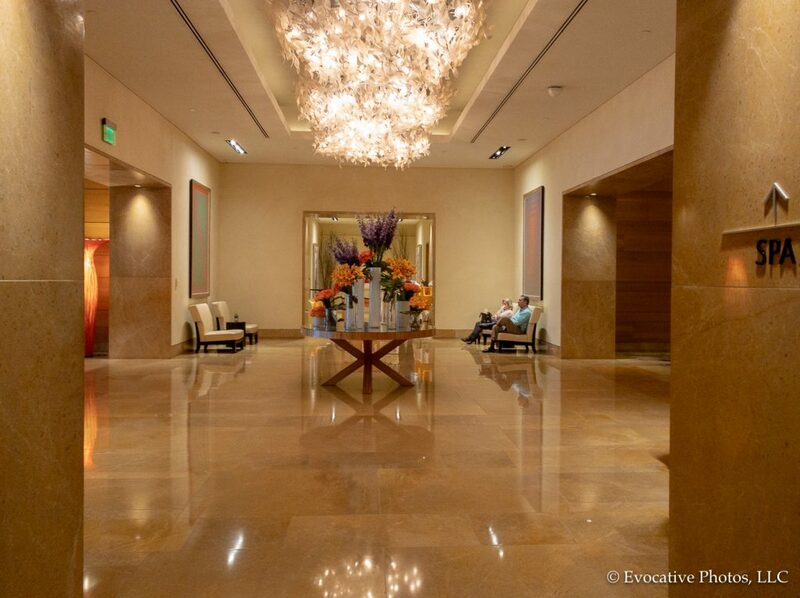 Complete with cobblestone streets, the area is full of shops, restaurants and boutique hotels. It’s quite charming (as befits Charm City) and vibrant—even if you are not on your way to Jen’s wedding. Here (below) are a couple of shots from our brief walkabout around the city. More photos are at Evocative Photos. Thames St, Baltimore, Maryland, USA — April 13, 2019. 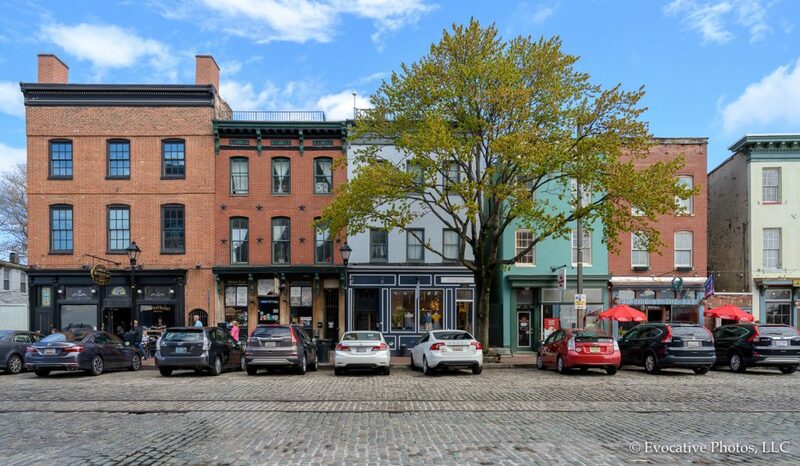 Photo taken on Thames Street in the popular Fells Point Section of Baltomore with its boutique hotels, shops and restaurants. Baltimore, MD, USA –April 13, 2019– People walk along on the promenade; a man dressed in a red shirt and sneakers feeds the pigeons. 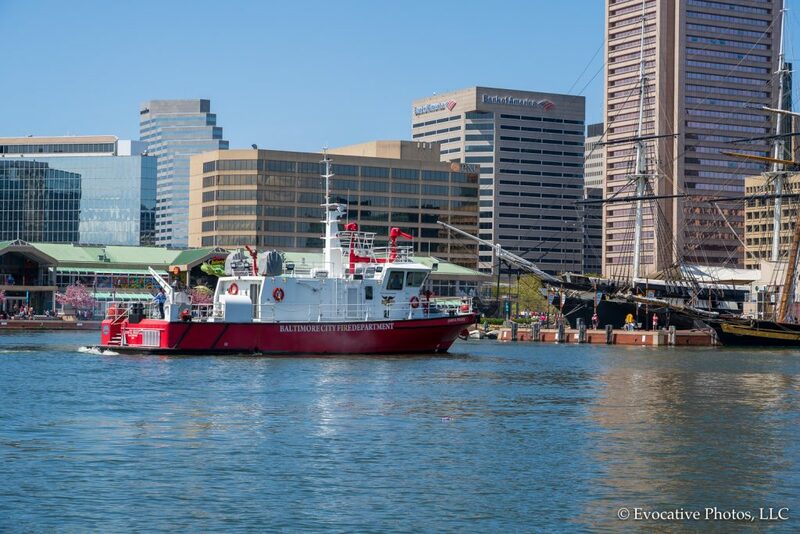 Baltimore, MD, USA –April 13, 2019– A Baltimore City fireboat sails into the waters of the inner harbor.